I’ll give it to Finnish director Taneli Mustonen and the crew behind the new slasher, Lake Bodom, they go for it with gusto. Playing with horror tropes from a variety of subgenres, and even sub-subgenres, individual pieces are fantastic. Taken together, however, the whole is disjointed and watches almost like multiple shorts stitched together with little care for continuity or reason. In 1960, four teens were found murdered at the titular lake, a crime that remains unsolved to this day. That’s real; that actually happened. This event gave way to all manner of theories, and Lake Bodom mines that for it’s core idea. Four teens types—hunky neck tattoos, murder -obsessed nerd, wholesome blond from a strict religious family, and dark-haired party girl—go to the site of the killings to reenact them and test out one of these theories. 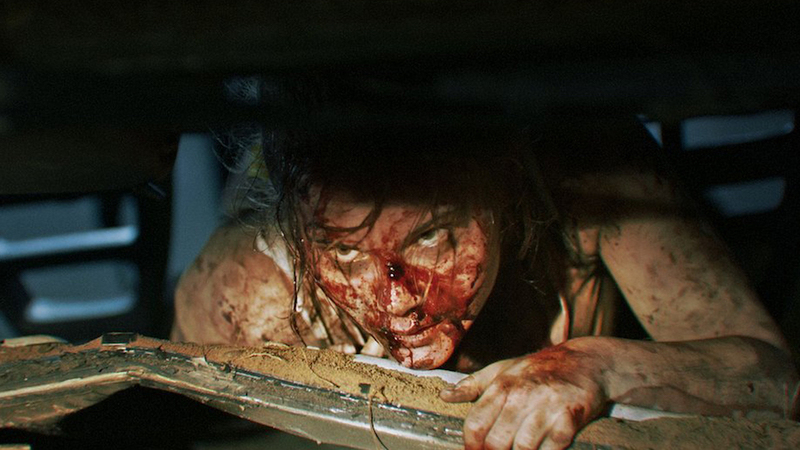 Lake Bodom starts as a play on kids-in-the-woods slasher, morphs into a bullying allegory, dovetails into a revenge story, becomes a saga of female friendship and solidarity, and takes a few more twists and turns, all shoehorned in at a breakneck pace. To the point where every character’s needlessly obtuse motivations—all of which come with excessively convoluted plans to accomplish relatively simple things—blur and connectivity and logic take a backseat. It’s a big ask to maintain any sense of credulity as the plot ping-pongs around. 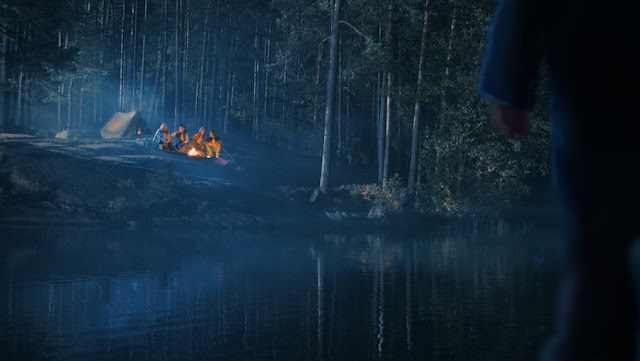 Cinematographer Daniel Lindholm crafts a lovely looking film, transforming the woods into a nightmarish wash of stylized hazy blue backlighting. And Mustonen and co-writer Aleski Hyvarinen have fun toying with all manner of genre staples, like the killer POV shot, the jackass friend playing pranks in the night, and similar tricks of the trade. 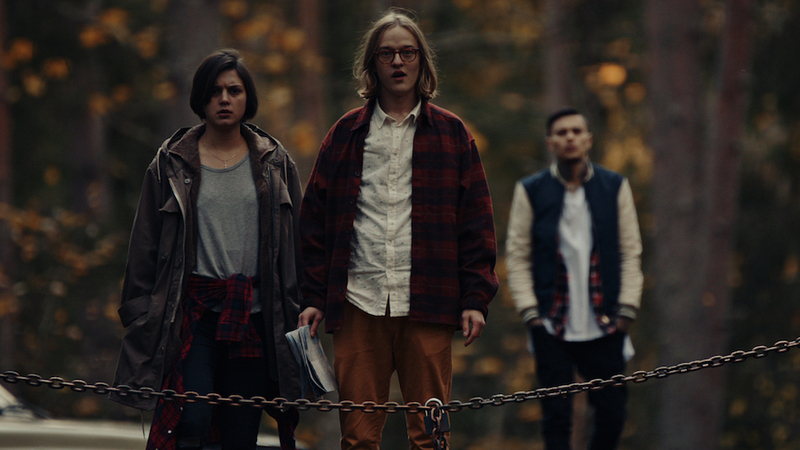 Describing it all here, Lake Bodom actually sounds like a blast, which makes it all the more frustrating, especially as one of the few true horror films at this year’s Seattle International Film Festival. The first third, when it’s a kids-camping-in-a-sinister-place story, is solid—nothing groundbreaking, but good for what it is. But after a certain point, practically every scene throws in a shocking twist, to the point where characters become completely different people from one to the next with little to no warning or motivation—one goes from cocksure heartthrob one moment to earnest, sensitive well-wisher the next; devoted friend becomes vengeful jilted lover; and so on.